The AWS S3 data feed is a generic feed. This feed gets the data from a specific file in the customer’s AWS S3 bucket. The contents of the file are published to the app server. It runs at a certain frequency as set by the customer in the Fusion UI. Name: The name given to the data feed. This will default to Service - Platform Name if not specified. S3 Bucket: S3 Bucket name. S3 Resource: S3 Resource name. Note: If you check the box for Valid JSON, the feed will verify if the text in the resource is valid JSON. If it is not checked, then you the resource can contain any string value. 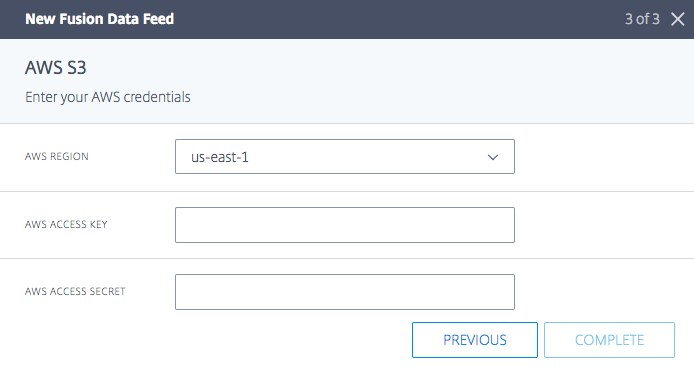 AWS Region: The location where the bucket exists. 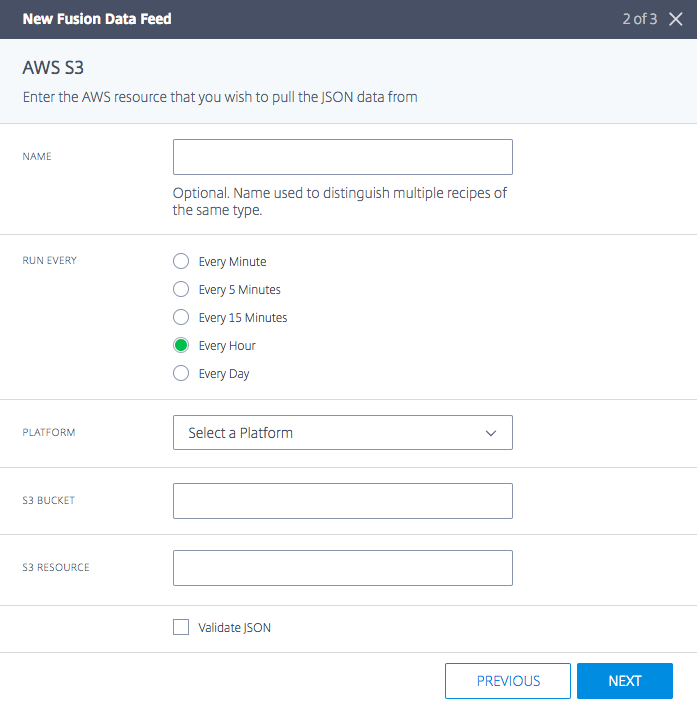 AWS Access Key: the AWS access key for the user account that will be used in the Fusion AWS S3 SDK authorization and subsequent AWS S3 API queries. AWS Secret Key: The user account secret key. Once the Fusion AWS S3 set up is complete, it will be listed on the Fusion data feeds home page with a green status and monitoring metrics in the log history.